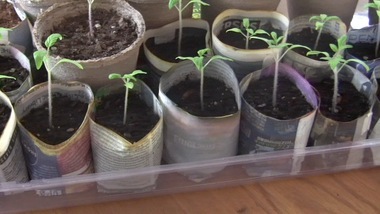 A great way to cut down on costs is to use old newspapers to make pots to transfer your seedlings. They are economical and easy- a great after school project for you and your kids! 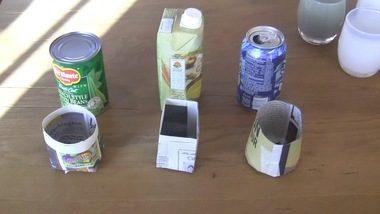 A can, mason jar or canned food. Any object can be used depending on the size and shape you want. Cut your newspaper into 5" X 18" strips. They can be longer or shorter depending on the size of your object. Lay the Newspaper out on a flat surface. Place the object on top of the newspaper so there is a 1 1/2" overhang on the edge of the newspaper. Start rolling the object, making sure to keep it fairly tight. Use a small piece of tape and tape the side of the newspaper. Flip the object over and fold the overhanging newspaper as if you were wrapping the end of a present. 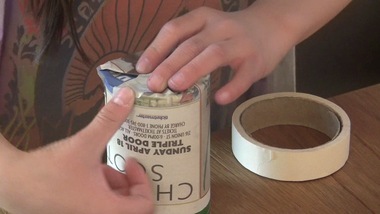 Place a piece of tape on the edge of the folds to secure it down. Enjoy your new pots! You can use these as a place to start seeds or to tranfer your seedlings after the are approximately 4" tall! Super good project for the kids and let me tell you this will save me a bundle on pots. Thanks for the good directions and I love the video too.